Looking for high quality, high performance SVGA cables without the huge price tag? Look no further! Vivid AV™ High Performance SVGA cables are just what you are looking for. With our quality SVGA cables your can move your monitor up to 100 FT away from the pc with out any worries (in most applications). All of Vivid AV™ SVGA cables are dual ferrite and triple shield to guarantee that your devices will operate at their peak of performance. With dual ferrite's and triple shielding our cables ensure that signal loss, ghosting, double imaging and signal distortion will not be a issue to create a truly worry free cable. 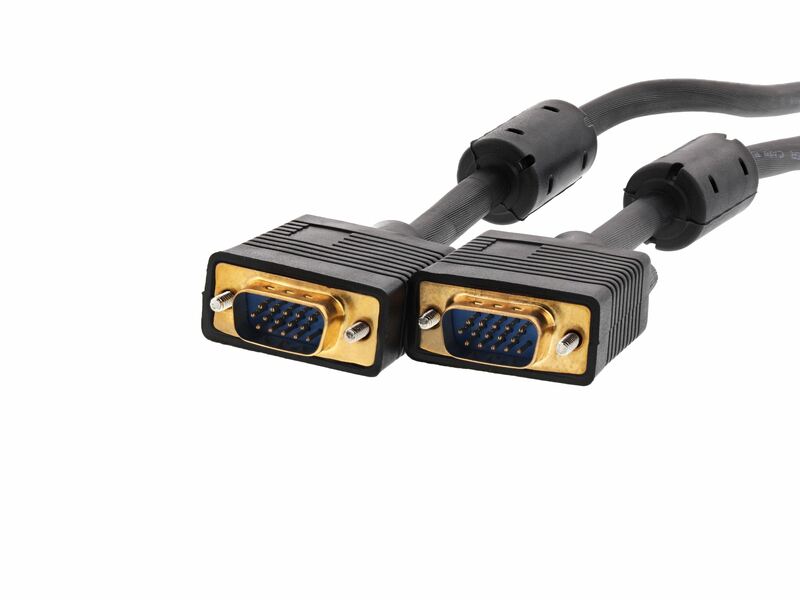 Our high performance SVGA cables deliver a clear crisp picture that is ideal at home, in the office, in the server room, in classrooms or even in video presentations. The applications are practically endless. Cables were shipped very fast. Fit my application very well. Thank you.